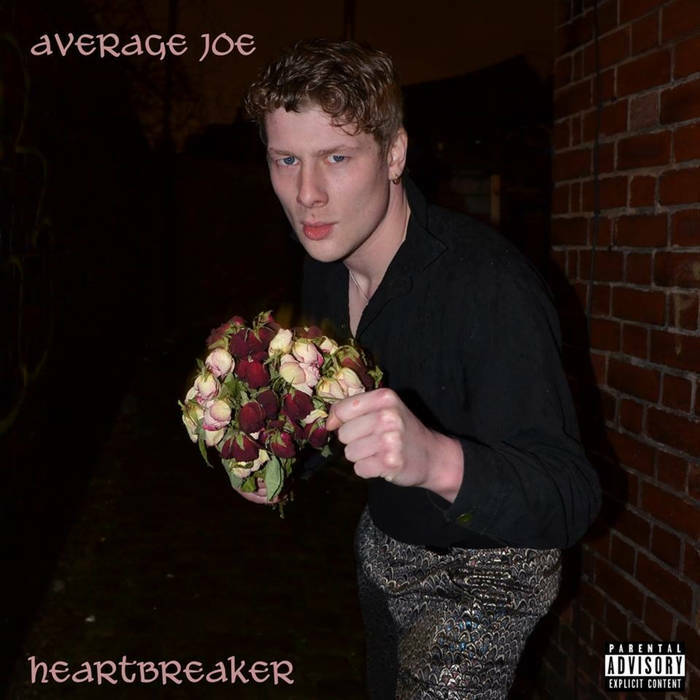 Average Joe, aka Joe Brennan-Hulme has been fine-tuning his craft over the years, and been at the creative forefront of the Stoke-On-Trent scene from an early age. His latest endeavour comes in the form of Heartbreaker: a heartfelt, 8-track record fusing elements of hip hop, grime and sentimental soul. The Bloke from Stoke harbours clear influence from the likes of Mike Skinner and Jamie T, spouting lyrics with a slick fluidity on the meaty themes of true love, human identity and frequent inebriation. Slipstream swings gracefully on a bed of warming horns while Brennan-Hulme lets the songbird in his heart fly free. Taken from his debut Heavenly Records release, Dan Stock teamed up with James Bagshaw of Temples on production duties for this hefty wedge of glam rock. It’s still early days for Stock, but with his evident roaring energy and talented company, he’ll no doubt blossom under the Heavenly label. There’s an electric buzz running through this one, charged with the power of exemplary British rock & roll which is always a winner on the live stage. Kingston-upon-Hull’s bdrmm, are so called as their music is written in the creative hub of the bedroom. Kare is a sparkling segment of shoegaze-pop, interwoven with euphoric blasts of guitar and mesmeric vocal work that, while seemingly crisp and gentle, tap into heavy relationship tensions in a hunt for brutal honesty. A mighty flurry of measured drum fills and a final surge of crystal guitar bring this one to a satisfying close, but you can’t help think that they’ve played it a little safe in this one, given their clear potential. Taken from her upcoming second solo record, Tell Me How You Really Feel, out on Milk! Records on May 18, Need A Little Time is the second single since her collaborations with Kurt Vile. The Aussie queen of grunge-pop departs what looks like a mutated form of humans with polygons protruding from their face, jumping into a space shuttle under the direction of her frequent visual counterpart, Danny Cohen. It arrives in typical Barnett fashion, but seemingly with more emotional explosions channeled through her guitar; her approach growing with aggression as the chorus reaches its climax. The boy pablo who stormed the internet with his track Everytime racking up millions of views through a YouTube recommendation algorithm, follows up his online success with another well crafted number. Clearly gifted with the knack for a mighty hook, the Norwegian-Chilean youngster and his band’s compositions are sweet and addictive, and those DeMarco-esque guitar tones give each one that free and easy spirit that accompanies a summers day in the park. These love-loaded pop ditties will serve Pablo well, for now, but with his career having been given a healthy kick-start, it’ll be interesting to see where he can cover more ground in the years to come. Here’s the latest from post-punk outfit formerly known as Viet-Cong, the Calgary quartet Preoccupations, taken from their aptly named new record, New Material. 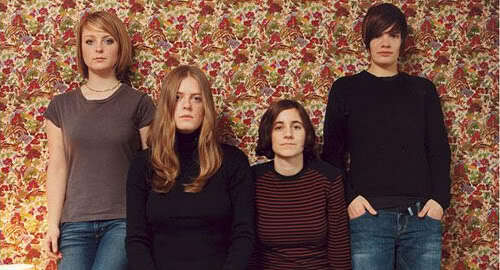 At its core it’s a gloomy track, marked by resemblances to Joy Division and similar melancholy Brit outfits. A glimmering lick shines bright amid the rumbling bass, a beacon for the ears, while the eyes enjoy a turbulent stroll on a beach in north Devon, UK. Teenage guitar prodigy Lindsey Jordan’s music career began very early, picking up the guitar at the age of 5 and playing religiously ever since, she even requested time out of school to go on tour with her band. She’s now realising her dream through her escapist, guitar-heavy numbers that travel in a similar vein to Frankie Cosmos and Speedy Ortiz.